Cottage character, spacious volumes, warm and serene. Boisverdun is a domain that has existed since 1350, and by successive filiation, he returned to Richemont (current family) in the early 19th century. 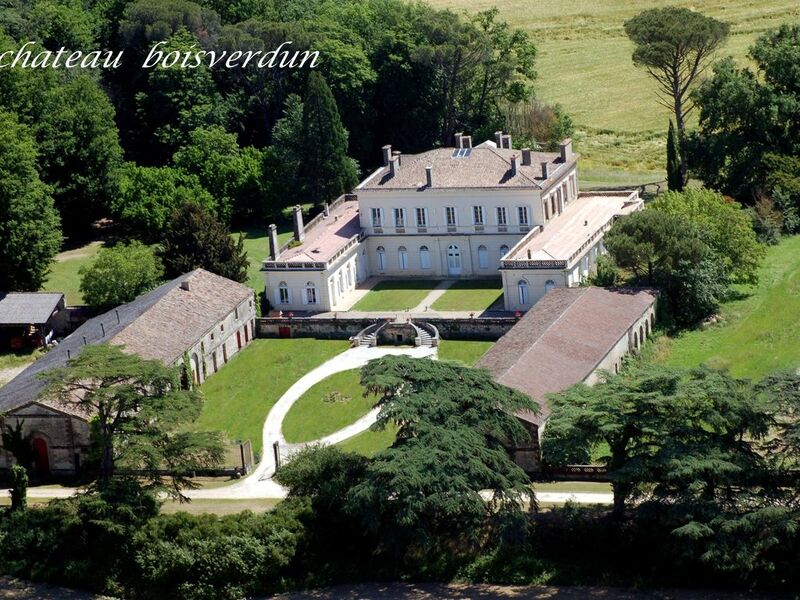 Gustave de Richemont had the house rebuilt entirely in a neo-Florentine and neo-Palladian style that is in perfect harmony with the surrounding nature since it has many similarities with the beautiful Italian Tuscany. The cottage is located at the foot of the main house with 2 entrances, one overlooking the courtyard (2000 m2), the other independent overlooking the courtyard (1500 m2). You benefit on the ground floor of a large living room (living room, dining room, kitchen) of 90 m2 + entrance hall + laundry room (washing machine) with toilet and sink. Upstairs, you have 3 rooms for 2 people with a bed of 160 each with their own bathroom and toilet. A twin bedroom of 90cm with bathroom and separate toilet. You also have a fifth bedroom of 10 beds with 2 showers + sink + toilet. The set extends over an area of ​​250 m2 + a terrace of 20 m2. You have the lake of the jump of the wolf to 13 km, possibility to make the veil to the temple on lot with 15 km. Visit the bastide all around the house, we can organize a tasting course on site, We have a lounge bar that can allow you to organize an evening. In summer we have night markets every night with orchestra and regional products in the surrounding villages.